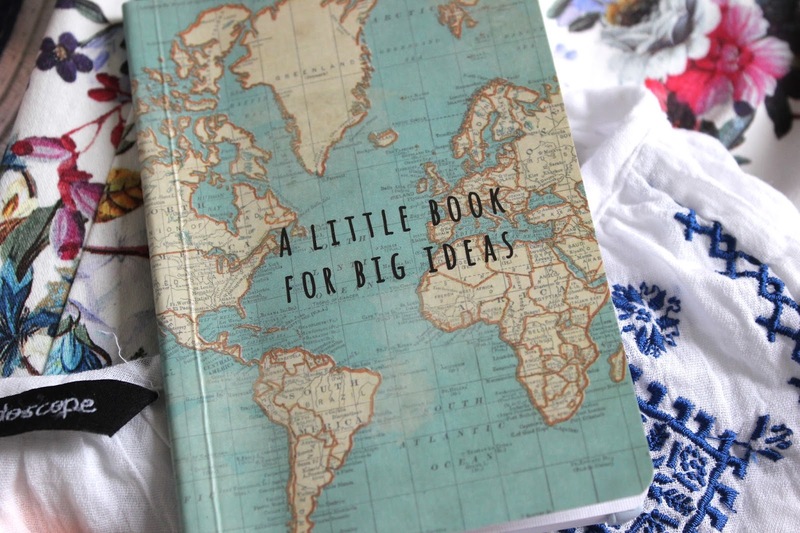 This is one of the items I wish I had got into sooner. When I was younger, wearing a hat on holiday was seen as very uncool, all while my scalp was burning and sizzling away. And when I did end up taking one abroad, I always found the trilby one I had was too bulky to pack, so I ended up carrying it with me on the flight and then never actually wearing it during the holiday. Oh dear Georgie. I’ve teamed up with Kaleidoscope on their #KalOnTheBeach campaign and they sent me a couple of pieces ready for my holiday later this year. 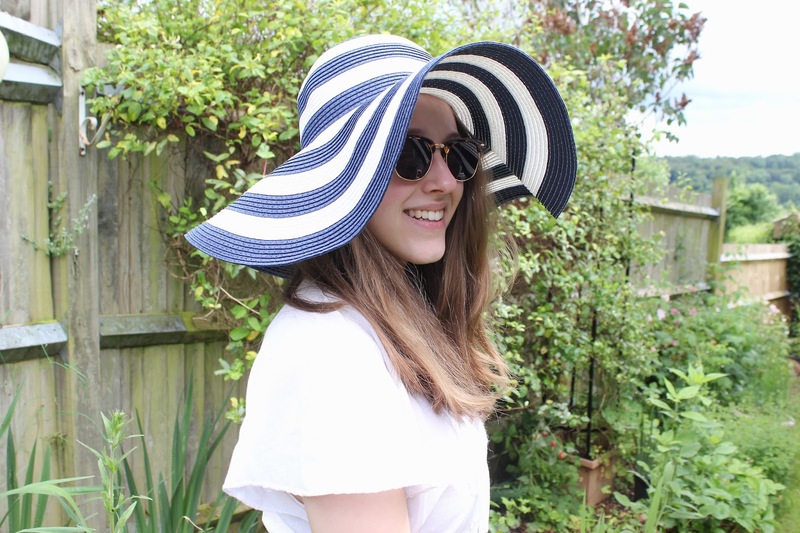 I’ve been on the hunt for a new summer straw hat, especially the floppy styles to shield your face from the sun…I’m known for my nose and cheeks to go bright red in the first glimpse of sunlight! The blue and white stripes on this one keep it French Riveria cool, while keeping you cool at the same time. As it’s so floppy, this will be easy to pack without losing the shape of it completely! I suggest stuffing items like underwear in the part where your head would go to save on space. 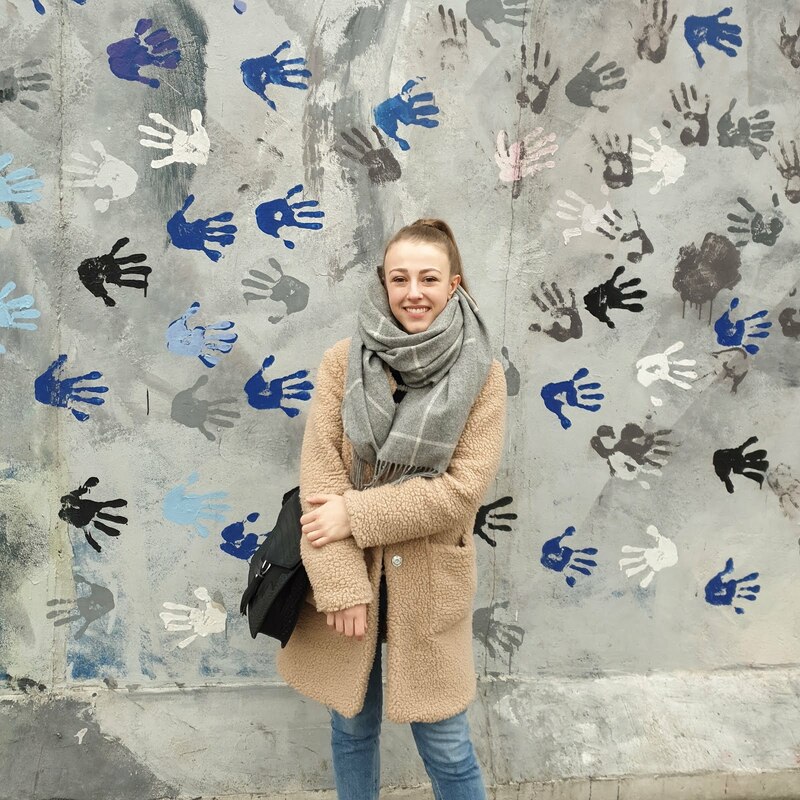 Knowing how the weather can be unpredictable, even abroad, it’s always good to pack one or two light layers that you can throw on if there’s a little sea breeze in the air in the evening. Be it a flowy top over your bikini, or a pair of light trousers to cover your legs up like these botanical floral print ones from Kaleidoscope. They are super comfy and lightweight, meaning you could also wear them as part of your travel outfit- keeping you warm while at home, but not letting you melt into a little puddle when you step off the plane. 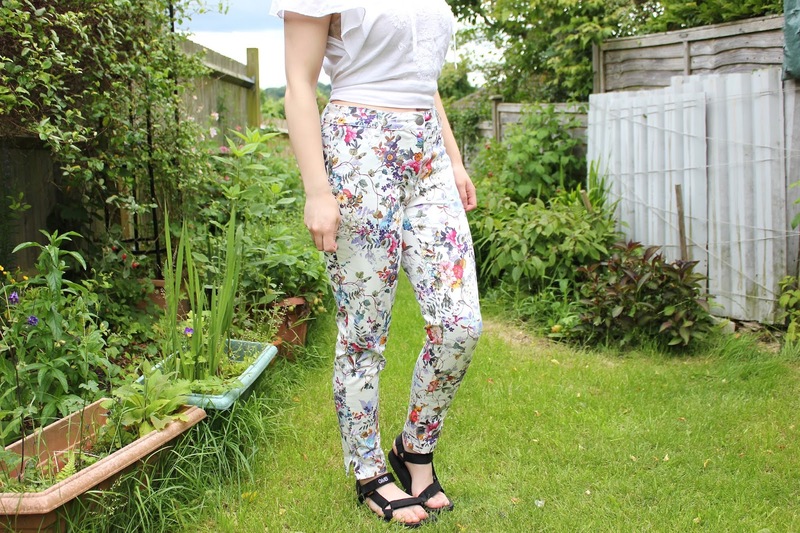 I adore the print on these jeans- they're a nice change from the usual big print floral trousers we've seen in previous years. Before you cringe, I'm not talking the whole socks and sandals vibe. Luckily for us comfy footwear lovers, chunky sandals have become cool again thanks to the catwalks. Think big straps and thick soles. 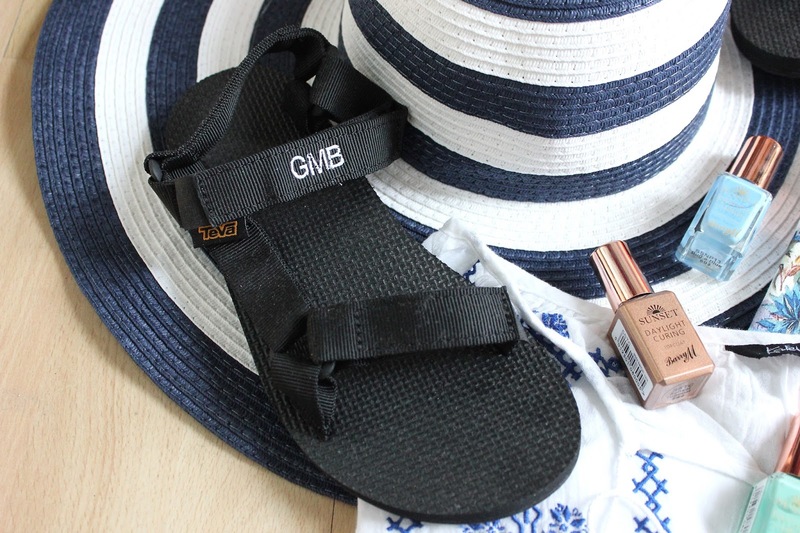 This pair kindly sent to me from Teva are the perfect shoes to go exploring in on holiday, and how cool that I have my initials on them?! I love a good personalised item :) These will support your feet on the go, and they have a whole load of colours and styles, including some awesome flatform ones...hello festival shoes! Nobody likes it when they are on holiday and their manicure or pedicure starts chipping. But we also know the hassle of booking a nail appointment in, especially if it's a last minute trip, and how much gels and acrylics damage our natural nails. These new nail paints from Barry M cut out the salons and UV lights and use natural daylight to cure the polish to create long-lasting hi gloss nails that can be removed easily with normal nail polish remover. You have to buy the Sunset Topcoat for the polishes to work properly, but when you know you're going to be getting longer wear out of your nail polish, it definitely covers the cost per wear. 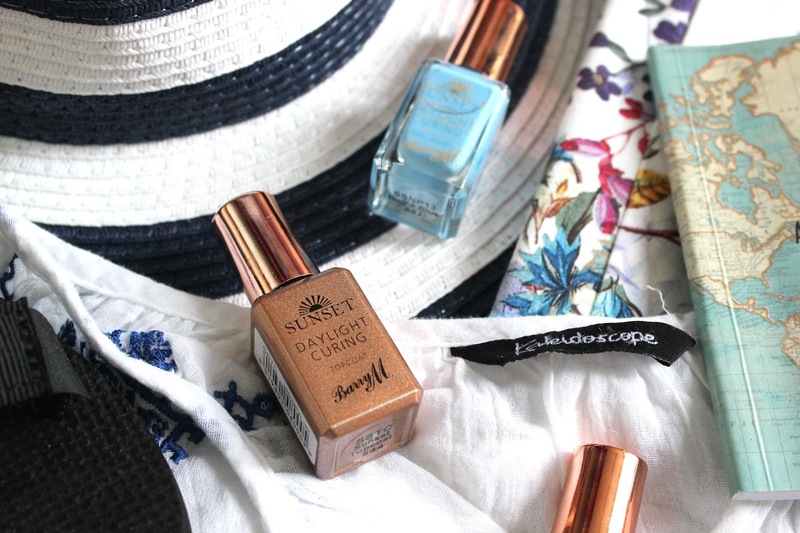 They come in some fantastic summery colours, and who can resist rose gold packaging eh? Sass & Belle have also kindly given me a discount code for you lovely lot! You can use the code georgie at the checkout to save £10 online when they spend over £40! Hope this has helped some of you who are packing for a beach holiday and a big thank you for the brands who sent me these items to feature! Annoyingly one of the tassels from the beautiful top from Kaleidoscope came off in the wash (if you buy it do wash it in a net bag or hand wash it) but it's now in the sewing pile to be fixed. 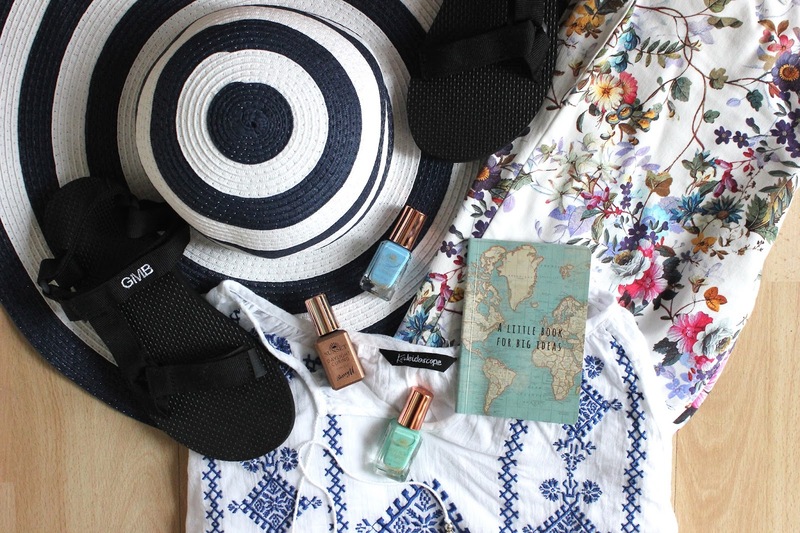 What are you essentials for a beach holiday? I like the outfit and the Berry M. products. I am so sad, that they are not easy available in germany.